Christmas will be here very soon and a lot of us even now already have our Christmas trees up in our workplaces and homes. Every year between 6 and 8 million persons buy a ‘real’ Christmas tree in the United Kingdom. So, what should we do with our ‘real’ Christmas trees once Christmas is over? Very often I see them left n public in January, fly-tipped due to a lack of information about what to do, or maybe it’s merely just laziness and apathy. There are a lot of options for what you can do. Use of the festively pruned rosemary bushes instead of pine trees has increased recently, because they are more sustainable, and you don’t have to cut them down like a traditional tree, but you can move them around in their pot easily. Nevertheless, if you still prefer a pine tree, keep on reading for many ideas. As Christmas comes in the coldest season of the year, why don’t you just cut your Christmas tree into the firewood when you don’t need it anymore, and use the firewood to make a friendly, warming fire in your fireplace. You have a piece of beautiful, fresh wood in your hands, so don’t just throw it away, go and get your toolbox and start creating. There are plenty of things you could make: Christmas ornaments, decoration for the garden, or even some furniture. Your imagination is the only limit! 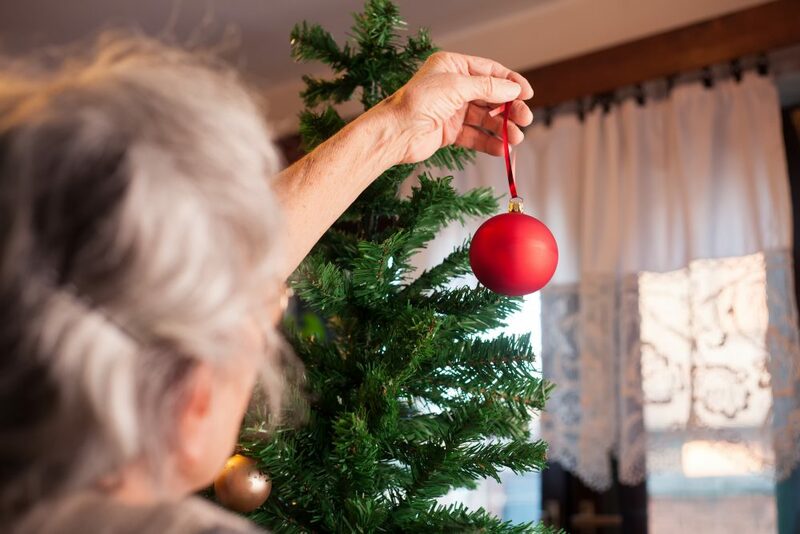 A local landscaping business will be delighted to turn your ‘real’ Christmas tree into the woodchip for a small price, which you can use in your garden as mulch or on your compost heap. Pine needles can also be used in this way. Use your tree to make a beautiful habitat for animals in your garden; all of them would be happy to have the warm place where they can store food and have protection from predators during the winter season. I am not kidding! Perhaps pine needles wouldn’t make a great meal by themselves, but they can be cooked in hot water as a tea or used as a flavour infusion in many marinades and sauces. Before you try it make sure your Christmas tree is the edible kind (i.e. not a yew, as they are poisonous), and be sure to wash them thoroughly. Another option is to take your ‘real’ tree to the recycling centre in your vicinity. The result will differ depending on the area you live in, but Leeds City Council will compost it and utilise it in land restoration projects as a soil conditioner. I know this is not a practical option, but I decided to mention it anyway. On New Year’s Eve, some zoos in Germany feed their elephants a treat of Christmas trees. Camels, deer and sheep enjoy this feast also. It is believed that pine oil may improve digestion for some animals, and simply by eating three threes a day also cleans the elephants’ teeth.